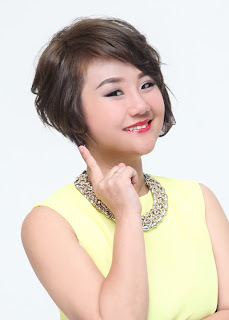 Wendy Pua | Malaysia Chinese Lifestyle Blogger: 30% off Hada Labo Products if Shop Online! 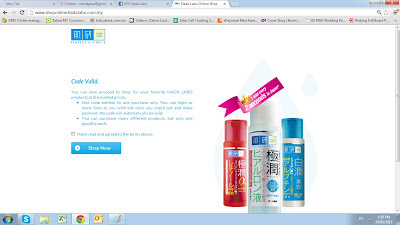 Hada Labo Malaysia can shop online now! All Hada Labo Products Goes 30% off from the retail price. I can't re-use the voucher code once I purchase for the 1st time. AND Only 1 piece for each product in shopping cart! 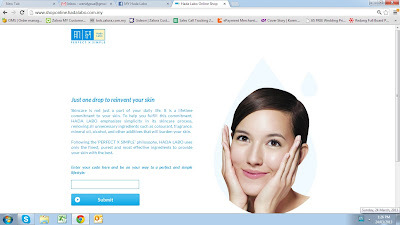 My Code will expired on 31 March 2013. See How Precious the voucher code is! so I wanted to share with You! with personal hypnotherapy as well as hypnosis you certainly will recognize main outcomes easily. 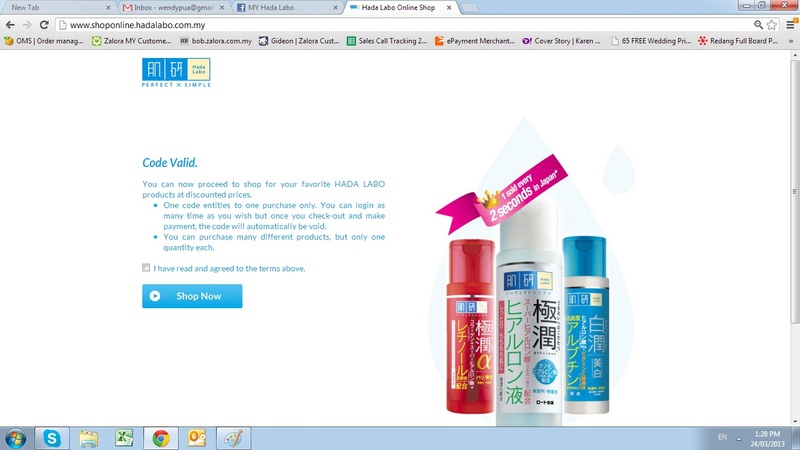 Thanks for finally writing about > "30% off Hada Labo Products if Shop Online!" < Loved it! I do trust all of the ideas you've presented to your post. They are really convincing and can certainly work. Still, the posts are very quick for newbies. Could you please prolong them a bit from next time? Thank you for the post. It's an awesome paragraph in favor of all the web users; they will take advantage from it I am sure. I do not know if it's just me or if perhaps everybody else experiencing problems with your website. It looks like some of the written text within your content are running off the screen. Can someone else please comment and let me know if this is happening to them as well? This might be a issue with my browser because I've had this happen previously. of research volunteers and starting a new project in a community in the same niche. May I know how to get the discount code? Can i know whether the price is including the postal cost?? Why viewers ѕtill use to reaԀ news papers when in this technologiсal globe all is available oon net? Hi there, this weekend is good in support of me, for the reason that this point in time i am reading this great informative article here at my house. Hey there, Yoou have done an excellent job. I will definitely digg it and personally recommend to my friends. form 8615 and K-1 data from 1041, 1120S, and 1065 are easily exportable.